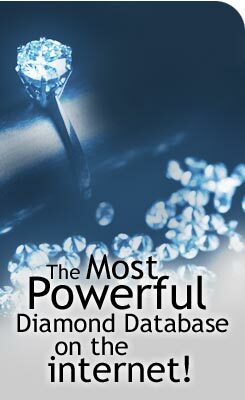 DiamondSea was designed to remove all the tedious work involved in managing a complete diamond inventory. The management of inventory data, scanning and uploading of certificates, and regular updating of the lists is all managed by DiamondSea. All you have to do is pick your suppliers, set your markups, and start selling! After the companies approve your request to carry their inventory, it will immedately appear in your database as your own in-store inventory:. inventory will not be included because you did not select them. You then set up your markups. You set a default markup for all inventory, and you have the option of defining different markups for any or all of your suppliers. Your markups will be applied automatically to your inventory when a diamond search is performed. You're ready to start selling! If you wish to customize the look of your search, or integrate it into a web site, you can do this relatively simply. When a customer comes in to find their perfect diamond, have them watch how you find their perfect stone from tens of thousands quickly and easily. For even more customer involvement you can have the customer do the search themselves. It is simple enough for anyone to do!